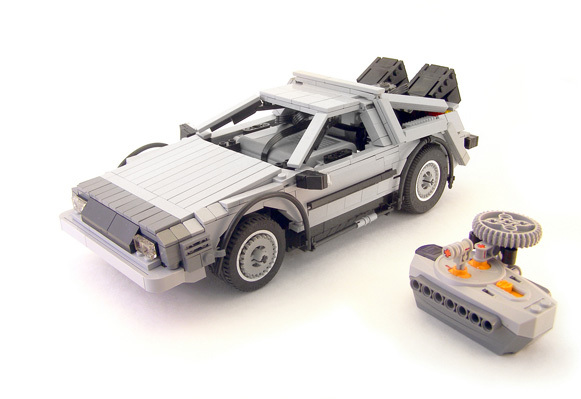 Back to the Future fans should check out this fantastic remote controlled DeLorean car built entirely out of LEGO by Legohaulic. 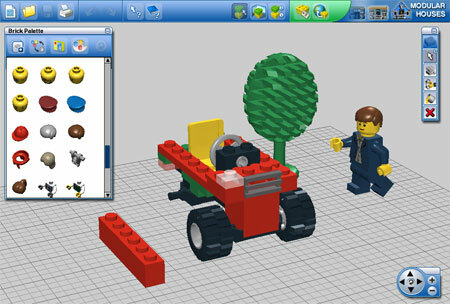 Makes me want to have a play with LEGO Technics and Power Functions again — I’m sure the components are way more advanced than when I was a kid! Here’s a video of it in action and a gallery of photos. 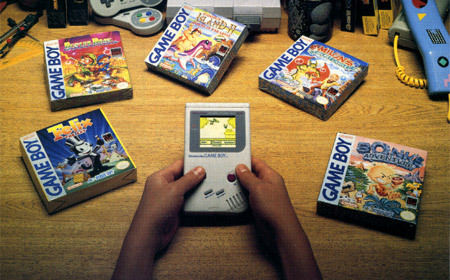 As incredible as it sounds, the Nintendo Game Boy is 20 years old today! The now iconic hand-held video game console was launched in Japan on 21st April 1989 as the spiritual successor to Nintendo’s Game & Watch line. The console, which went on to sell nearly 119 million units worldwide, was released to the US a few months later in August and to the UK and Europe the following year. Bundled with it was, of course, a copy of Tetris but it was neither that, nor Super Mario Bros nor any of the big-selling titles that left a lasting impression with me — possibly because it’s one of the few video games I’ve actually completed that honour goes to Final Fantasy Legend. Final Fantasy Legend was a western port of the Japanese RPG Makai Tōshi Sa·Ga and, despite being made by Square, wasn’t a Final Fantasy game at all, merely re-badged to cash in on the popularity of the Final Fantasy series in the US. It was apparently enhanced and re-released for mobile phones in Japan in 2007 and the series also celebrates its 20th anniversary this year. 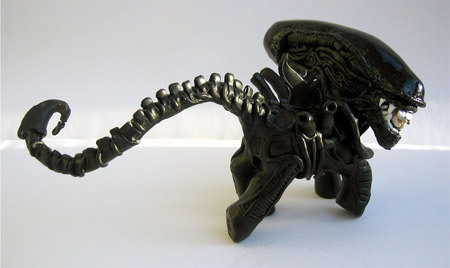 Too bad I traded mine in for a copy of Chase HQ… I don’t think I’m ever going to let my 13-year-old self live that down! Still, at least I kept my copy of Solar Striker and if I ever lose that I’ll always have its theme tune permanently etched into my brain. Update: Be sure to check out the Game Boy timeline over at Gizmodo. Design geeks! 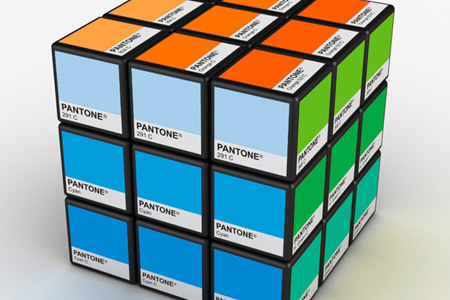 Check out this wonderful Pantone Rubik’s Cube concept by Italian industrial designer Ignacio Pilotto. I also particularly like his Race Clock and ice bucket that turns into a watering can once the ice has melted! First of all, apologies if you arrived here excited by the pretense of the crappy (yet oddly endearing) 1980s cartoon of the same name. Here’s something very arguably better. Adam Phillips, the guy who created the superb Bitey Castle shorts, has been commissioned to produce a number of brief animated cartoons to promote the new 4th edition of Dungeons and Dragons. He’s working on a fourth as I type. Meanwhile, Mike Krahulik and Jerry Holkins over at Penny Arcade and Scott Kurtz from PvP have put together a podcast of, essentially, eight hours of them playing Dungeons and Dragons around a microphone. With the wrong people this really could be the dullest thing on earth but it somehow manages to remain entertaining throughout the four half-hour and a bit podcasts they’ve already put out. Stick this link into iTunes or your podcast grabber of choice: http://www.wizards.com/dnd/rsspodcast.xml or, iTunes users, try this – more here, though you’ll need to sign up for a free account to access the pages. They’re also doing a little strip to accompany each show. And, oh ok… If you insist. 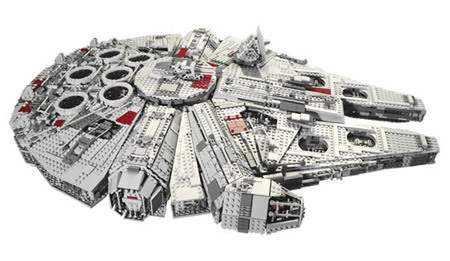 Alice had a treat for the Star Wars fan’s eyeballs today over at Wonderland: a new Lego Ultimate Collector’s Millennium Falcon set — over 3 feet in length! 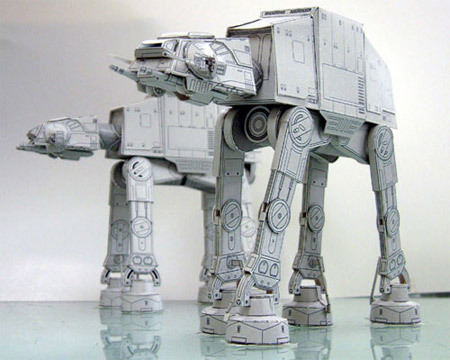 It’s made of over 5,000 pieces which, apparently, makes it the biggest Lego set ever made. It also includes Han Solo, Chewbacca, Obi-Wan Kenobi, Luke Skywalker and Princess Leia Organa. 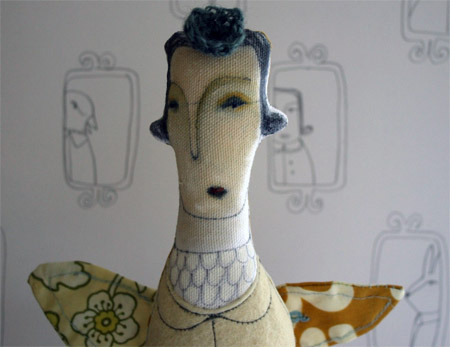 It can be yours this October for a mere £350! While you’re revelling in lost youth, be sure to check out the new Transformers toys as well.